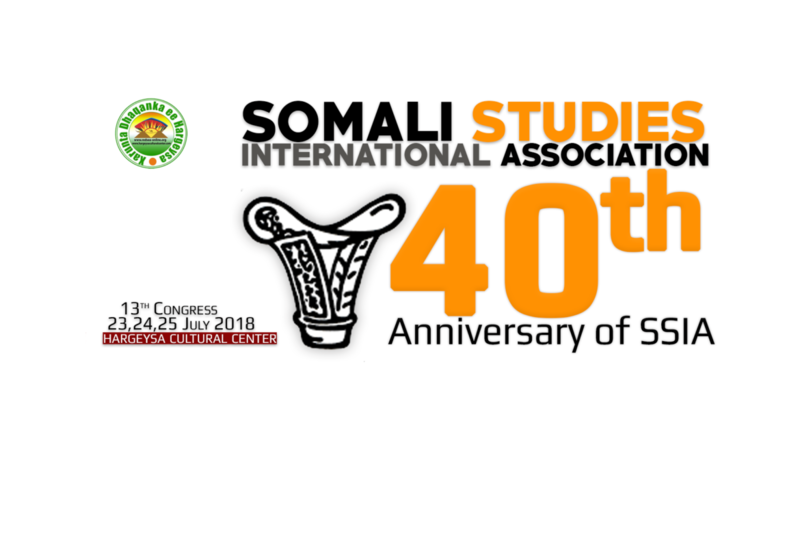 Somaliland is attracting an increasing number and diversity of research projects, offering interesting opportunities for researchers to participate in interesting and potentially valuable projects designed to better understand Somaliland, it’s people and its context. A significant number of young Somali scholars are also pursuing PhDs and other research degrees which call for a similar understanding of research methodologies. 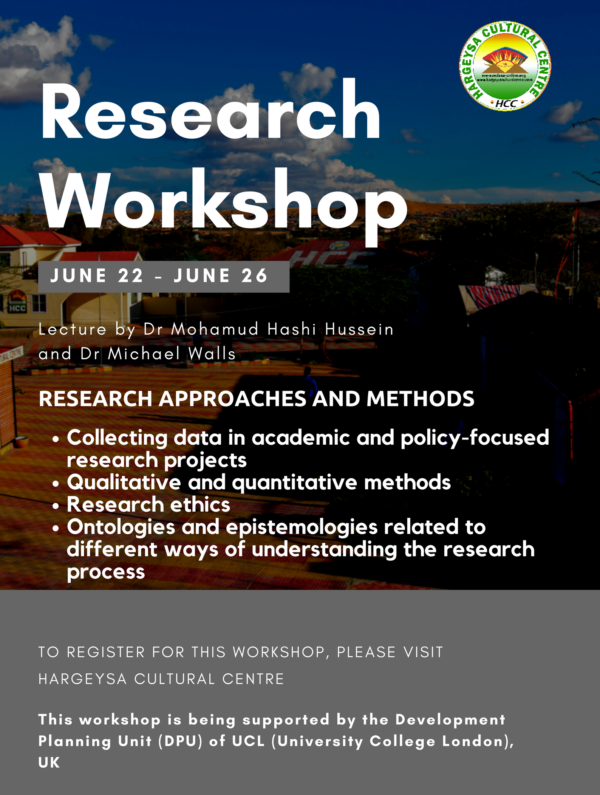 This workshop will provide an introduction, over four days, to the different approaches and methods used to collect data in academic and policy-focused research projects. It will cover both qualitative and quantitative methods, and will consider research ethics and the ontologies and epistemologies related to different ways of understanding the research process. This workshop is being supported by the Development Planning Unit (DPU) of UCL (University College London), UK. It will be take by Dr Mohamud Hashi Hussein and Dr Michael Walls. Dr Mohamud Hashi Hussein is an economist with over 20 years of experience in industry, the public sector and research in the UK, and more recently in Somaliland. He has an excellent understanding of the challenges and opportunities for research in the Somali Horn of Africa, as well as in a wide range of thematic areas employing both quantitative and qualitative methods. His research skills and expertise include the quantitative analysis of business responses to regulation and market incentives, and qualitative analysis of behavioural drivers for the uptake of new technologies. Most recent work includes extensive research on the political economy of regulatory policies, including regulatory capture by industry interests. Dr Michael Walls is a Senior Lecturer at UCL’s Bartlett Development Planning Unit (DPU) and, and for the past fourteen years, his research has focused on the political economy of the Somali Horn of Africa, including the evolving political settlement in Somaliland. He was Chief Observer for the international observation mission to Somaliland’s 2017 presidential election, and has also been a member of the coordination team for missions in 2005, 2010 and 2012 as well as the 2016 Voter Registration process. Michael was Principal Investigator for the ESRC-funded research project ‘Political Settlement in Somaliland: a gendered perspective’, and is currently part of the research team looking at Complex Land Markets in Somaliland and Uganda. “Whenever am faced with this question, why Films for Development? 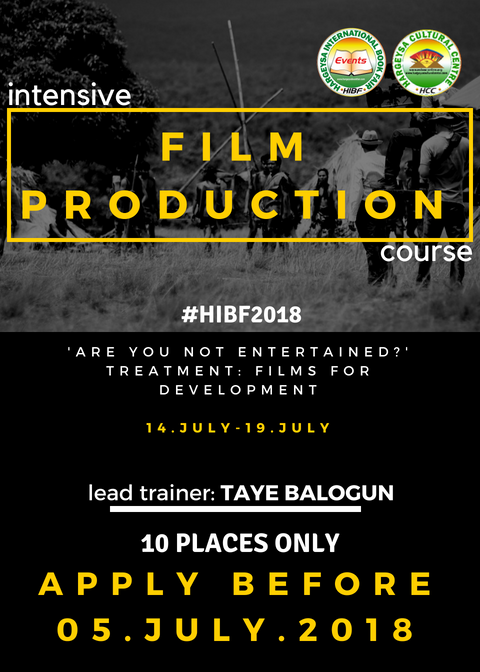 My answer has always been – My observations became an obligation.” Says Taye Balgun, Taye is a film director/photographer, pan Africanist, activist, social justice campaigner and a teacher. IDEATION: Identifying a problem. This is a simple discussion forum. RESEARCH: Why is it a problem? Maybe its not a problem elsewhere. How did the problem occurred? CONCEPT: Will our approach to the subject matter create awareness, provide solution or provoke discussion? A 360 or 180 perspective. FOCUS GROUP: Who are we targeting? Policy makers, NGO, Grassroots folks, Youth, Experts etc What action do we expect from them? STORYBOARDING: A sketchy visual narration. If you can visualise your story, you can’t achieve it. SCRIPTING: Creation of the flow of storyline. Put words on paper, let others read it. PRODUCTION: Film techniques and style of storytelling. Let the shoot begins. The workshop will be more interactive and hands-on. Runing five full days, from 14th – 19th, the course organizers expect to have a tangible outcome: A 2 minutes video. 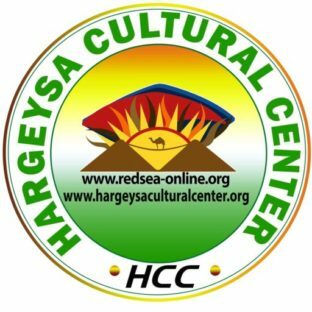 Other film makers who attend the Hargeysa International Book Fair and Somali Studies International Association Congress, will meet the trainees after the workshop for further improvement. Xarunta Dhaqanka ee Hargeysa waxa ka furmi doona tababbar ku saabsan qoraal-curinta toolmoon, gaar ahaan qaybaha maansada, riwaayadaha, filimmada iyo sheekada gaaban. Tababbarkani kuwii sannadihii ka horreeyay ayuu kaabayaa. Waana mid loogu talo galay in ay ka faa’idaystaan dadka ku hawlan qoraalcurinta, saxaafadda, ardeyda barata suugaanta iyo kuwii la mid ah. Muddada tababbarku soconayaa waa toddobaad 13ka Julaay ilaa 18ka Julaay 2018, Xarunta Dhaqanka ayuuna ku qabsoomayaa. Waxa casharrada bixin doona barayaal ku xeeldheer qoraal-curinta toolmoon waxana, marti ku ahaan doona barayaal iyo xirfadlayaal warbaahinta ku jira oo la wadaagi doona ardeyda waaya-aragnimadooda. Siciid Saalax Axmed, Siciid Jaamac Xuseen, Cabdillaahi Cawed Cige, Saynab Aadan Sharci, Maxamed Baashe X. Xasan, Maxamuud Sheekh Dalmar, Cabdalla Cismaan Shafey, Maxamed Xirsi Guuleed, Maxamed Cali Xasan “Alto”, Dr. Jaamac Muuse Jaamac. Tababbarku waa lacag-la’aan waxana lagu dhiirri gelinayaa dadka ku hawlan qoraalcurinta iyo kuwa warbaahinta ka shaqeeya, kuwaas oo loo kala tix gelinayo siday u soo kala horreeyaan. In uu yimaaddo xafiisyada Xarunta Dhaqanka ee Hargeysa oo ku yaalla Shacabka, Waddada 26ka Juun ee wadnaha Hargeysa, isla markaana is qoro. In uu xubin ka yahay Xarunta Dhaqanka oo haystaa kaadhka xubinnimada, qofkii aan haysanna marka uu yimaaddo ayuu is diiwaan gelin karaa. Kaydka Af Soomaaliga: iscugashada, is-ahaanshaha iyo abtirsiimada ereyga. Isdiiwaangelintu waxa ay xidhmaysaa Salaasa, 10/07/2018, 2:30 pm. 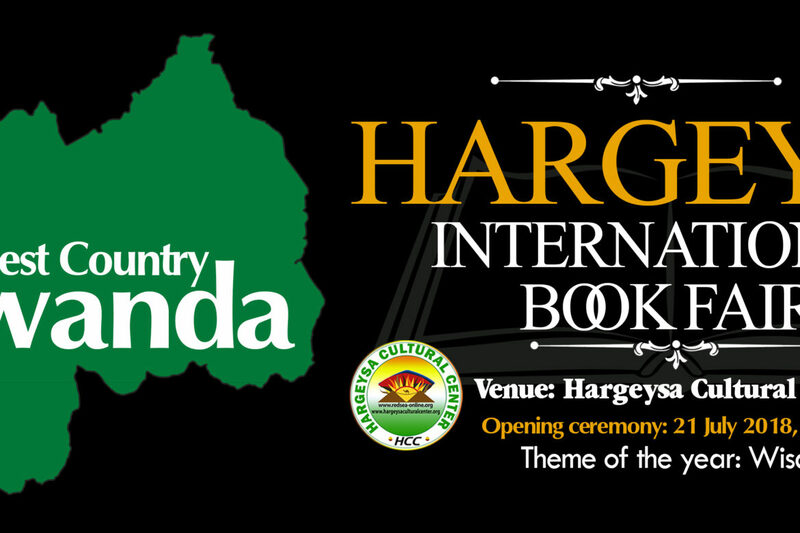 We are pleased to announce that the Hargeysa International Book Fair (HIBF) will held 21-26 July 2018 in Hargeysa, Somaliland. Last year, we celebrated the festival’s 10th anniversary with our chosen theme of Connectivity, this year we start the next decade with our theme of Wisdom. As an organization we have always sort to promote a “connected, open, creative and tolerant society led by wisdom”, and not by emotions; a society that has survived within its own mechanism, culture, heritage and knowledge production. From the 9th century BeytulHekmi (or Dar’ulHekma) in the Islamic Golden Age in Bagdad to the Somali wise men and women who guided the society in the traditional judiciary system, and who governed with authoritative leadership, the virtue of having wisdom as attribute, always gave few people a distinguished mandate to lead. What happened to that virtue? Who are our chosen vanguards today? What do the literature, the traditional oral poetry and arts had to do with the wisdom? Are men of literature loosing their appeal? Do the radical transformation of the Somali society in the recent time deteriorated the essence of wisdom of the ordinary people? These are the questions that we will seek to answer collectively. 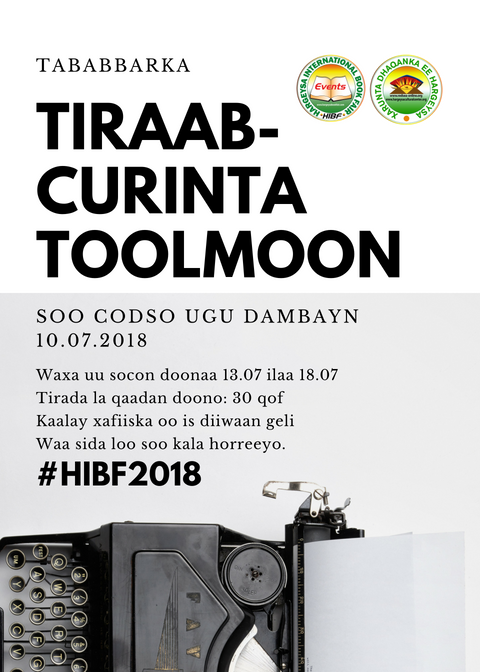 Intertwined with this, HIBF2018 will be hosting Somali Studies International Association 22-24 July 2018 (SSIA18), with Somali knowledge production filled by foreign people (something we often ignore) during a period of difficulties of war – it is important to consider how that factor changed Somali literature and how with a young Somali scholars emerging once again to claim their space within Somali knowledge production- this yet again will change and shape our understanding.